A site which may CHANGE YOUR LIFE! Do you say ‘NO GOD’? Why should I believe in GOD? Do You Believe in ‘The BigBang Theory’? Image(s) of ‘GOD’ from Hinduism and Christian/Jewism Scriptures! Image(s) of ‘GOD’ from Sikhism, Buddhism and Zoroastrianism! ‘Image’ of God in Islaam! Is God He or She or It? Is God of Jesus, the God of Old Testement? To A ‘So-Called’ Muslim ‘Jihaadist’! Are You a Blooming Da’ee??!! Are You A Carrot, An Egg Or A Coffee Bean? How to Memorize AlQur’an at Age 7! Few Laughs, Few Tears, Few Reminders!! Are You going through Hardships? Islamic Online University – Changing the Nation through EDUCATION! Tafseer and Hifdh of Soorah Maryam by E-jaazah.com -DONT MISS IT! This is the Day of Reckoning! How will be PARADISE (Jannah)??!! My post of the day is actually a reply to one of the comments here in our blog, Do you say ‘NO GOD’? As it is quite long, I posted it separate. No we don’t have! We don’t know exactly which year big bang took place, we don’t know exactly how old is this earth…we don’t know how long this will last. WE DON’T KNOW! All we do it assumptions and assumptions have no boundaries. Do you say there is an effect without a cause? OK this universe was formed from big bang..some thing should have caused that big bang right? Even if you say…’x’ reaction caused big bang.. some thing should have caused that ‘x’ reaction right? And this will never end until you admit that THERE IS GOD..What we find is the steps which God made to create this universe. There is definitely a ‘Causer’ behind all these reactions. All these amazing things..just came up like a ‘boom’ without any driving force behind it? Even a needle has a maker..what about this universe? I say ‘denying Him’ is intellectual laziness..not affirming Him.. get a big picture. Let’s learn our universe and this will definitely affirm the existence of God, this will never deny Him. You see all those unbelievable reactions and yet you say they came up all by its own? This is intellectual laziness man. Our intellect is limited, you cannot understand everything…each forward steps you take..u will know there are more and it’s nothing wrong to say, “God did it” because you and I know, “THERE IS GOD”…even if you deny Him outwardly. Some said monkey is my mother and you say monkey is my brother? You can believe monkey is your brother..but you can’t believe you are a separate creation with intellect and free will? weird. You have the greatest history but not that animal! All celebrated Darwin’s theory..and now they say, “it was without any proof”. Again you celebrate some other theory, wait until few years to get the opposite result. We are human beings, we always err and there is no 100% truth in any so-called theories. Submission… human beings always submit to something, this is unevitable. We submit to the One who created us provides for us all day and those who deny Him submit to primitive things..it may be time, their own desires, science..anything..! And they put their trust in it.. I say that is their God. Believing in God is not just enough, submitting to Him is more important. We put our trust in God and you put your trust in Science. Put it in this way, billions and billions of people believed in God and only a few lakhs, or crores or even say a million denied Him.. who is likely to be correct? Those billions and billions or a few nuts? Give a second thought.. there is God. If you really ‘studied’ Islaam, you should have known that there is only one God all time. And there was only one God in the beginning of our history (if you believe Adam is the first man, he didn’t worship 10,000+ Gods did he?). There were 10 generations between Adam and Noah where people worshipped the one and only God. And again, if you have ‘studied’ Islaam, you would have known.. polytheism began during Prophet Noah’s (alaihi salaam) time. Wadd, Suwaa’, Yaghooth, Ya’ooQ and Nasr these were the five righteous people of Noah’s time. After their death people kept a stone in their meeting place for remembrance. None of that generation worshiped them..but the future generation was deceived by Shaitaan and they started worshiping it. This is the beginning of idolatry and polytheism. This is an age of Science and you need proofs for everything.. who knows people may even ask proof for their father 😦 but still at the end of the day ‘its belief’. You are ‘just believing’ your proofs are right (until someone comes and say it is wrong.. and then u go in a confused state) and ‘I believe’ my scripture is right and no one can confuse me because it is not based on assumption! My Scripture itself a miracle.. I am personally moved by it’s literature. Lemme give u an example.. There are 10 forms of verb (may be there r many but I dont know). For example, if you say ‘he does’ in English, you can say the same thing in 10 different ways in Arabic and each has a different impact and a specific meaning. When you take a verse and see a verb there…you will say ‘wowwww’ coz.. it will be in the most suitable form.. and it will have ‘the most powerfull meaning’. You could have used any of the 10 forms ..bt still it will be in the most correct form..and u cannot choose a better option than that. If you wanna study Arabic go to Qur’an..and it has merely all rules and perfect lyrics..and subhaanallaah… NO MAN CAN BRING SUCHA BOOK! All English translations we have is ‘no justice’ you know.. you just translate it generally..bt the arabic words are more specific and have more accurate meanings. And I can never say ‘an illiterate’ man said all these things. EVEN A LANGUAGE SCHOLAR CAN NEVER BRING SUCHA BOOK! Hehehe..you made me laugh.. if you see what the vedas say..it says the same thing..worship the one and only God who has no beginning, no end, no parents, no children, no idols etc.. and even it talks about the kalki avatar. You can call your God as Brahman..we Muslims have no trouble with it but worship Him in the way He said..in the way His Last Prophet did..thats what really matters! You are worshipping the idols not the Brahman, worship the Brahman guys! lol I’m pretty sure, you believe in the existence of God. Otherwise you wouldn’t have made such statements. So it’s actually: God will be able to see through if u ‘act’ like denying God. Because belief in God is ingrained in our soul. From the primitive tribes to famous scientists all believed in GOD! We believe in God but we don’t want to obey Him, so we deny Him. Thats the truth actually. But a sane person believes in the things which he sees in front of his eyes right? The things around you itself proves the existence of God. Nothing can be there without a Creator. Again, even if I get those answers it only affirms my faith in God and not the other way round. How amazing these planets and stars are..then how amazing will be the One who created it? If you deny God you deny the whole purpose of life you know? What’s your purpose of life actually? To eat, to sleep, to find out why it is raining, why sun is yellow? You should do these researches to know the higher purpose of your life. And denying it is actually ‘intellectual laziness’. Even if u know all about sun..it is going to die oneday..it is going to be nothing one day… why do you care about it so much? Care about your soul because your soul is gonna be recreated and gonna be judged. The sun is not gonna be judged it’s YOU! If you say there is no judgement at all, then this clashes with every aspect of life. Why do I need to be good if there gonna be no judgement? I shall go and steal. Why is someone created blind and dumb and others so intelligent? Why is someone poor and others rich? You will not get the answers for these qs if you deny judgement. You talked about ‘moral’ you know what.. no one will be morally good if they don’t have a little fear that, if they do bad, they are gonna be punished. Even if they escape in this world they will taste it in the Hereafter.And the reality is THERE IS A JUDGEMENT DAY! And to prepare for that is the highest purpose of life, NOT TO UNDERSTAND WHY EARTH IS REVOLVING! These are all primitive things, you go besides these things and they are all going to be destroyed one day. All your efforts to understand them is null and void. Sun was not the first worshiped thing, it was the ‘One and Only real true God’. Who did Adam worship? sun or Allah? Lets not worship the creation of Allah, lets worship Him alone. I think I answered this, even if I get to know the unknown I will still say, “God did it” because He did it right! Whatever we find is the steps of how God did it.. step 1 this step 2 this ..so on..but at the end ‘God did it’. As I said..we can never fully understand the way how God did everything. We take one step forward and will find there are many more to go.. we keep on running behind it and all of sudden everything will be destroyed including you and me! And then we may think..I should have planned how to spend my time, subhaanallaah. Islaam doesn’t say you should believe blindly. Listen and reason.. reasoning will never deny the presence of God, it only affirms it! What to do..sometimes ‘truth is a bit scary’. We know it’s gonna happen, instead of denying it ‘No NO NOO’ and getting destroyed when it actually happens..lets prepare ourselves and face the terror.. because IT IS GOING TO HAPPEN. “Is God willing to prevent evil, but not able? This poem is based on God Vs Evil.. mostly all other religions say this.. they bring an opponent to God, God Vs Devil. But Islaam is the ONLY religion which says, there is no opponent to God. Nothing can dare to oppose Him. it is not God Vs Shaitaan, Shaitaan will never ever think to go 101 with God..
it’s Man Vs Shaitan..Shaitaan is not God’s enemy, he is our enemy. See God says Shaitaan is our enemy…he is not God’s enemy. he was a pious slave of Allah and now he is going to hell because of ‘us’ (not really us but because of his pride) bt he thinks he goes to hell because of us and he wants to take us with him. What an evil enemy! God does nothing purely evil, we have good in everything. Shaitan decieved Adam and as a result Adam learnt the ‘greatest form of worship’ ‘REPENTANCE’. Decieving is bad but repentace is the best. Hope I answered you to my best! Muslim: Hey, how are you? Can I ask you something? What would you say to me, if I broke off a massive piece of rock from a mountain and started worshiping it? Idolator: I mean why would you worship that? Muslim: what if I carved an image into the rock, then worshiped it? Would that be better? Muslim: But wouldn’t the rock still be….a rock? Muslim: So it’s not a rock anymore? Muslim: Does you think my carved rock could answer my prayers? Or perhaps it’s better to worship the One who created the rock? Muslim: Hmm…But is the rock really answering the prayers? Or the One who created it, answering the prayers? I mean, if you were to take the rock away, the prayers would still get answered, right? Muslim: In fact, if this rock had any powers, why couldn’t it carve itself? Idolator: No idea man ! Muslim: So my final question to you is: how come Hindus worship carved rocks? Why not worship the One who created you and the rock! Idolator: The carved rock is god rite? The one who created the rock is also god rite? Muslim: How can the rock be God? Because remember, we carved the rock…does that mean we carved God? Isn’t God the Creator not the Created? Muslim: Ask yourself this, if this craved idol fell on the floor, could it pick itself up? If not, how can it help me if it cant even help itself? Muslim: So why do you worship these images? Why not worship the One True God? 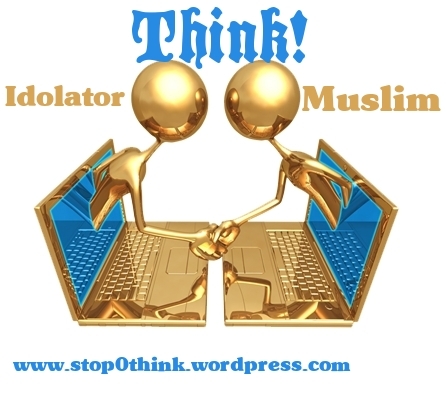 Idolator: And who is the true god? Muslim: Muslims believe in one, unique, incomparable God, Who has no son or partner, and that none has the right to be worshiped but Him alone. He is the true God, and every other deity is false. He has the most magnificent names and sublime perfect attributes. No one shares His divinity, nor His attributes. No one has the right to be invoked, supplicated, prayed to, or shown any act of worship, but God alone. Islam also rejects the attribution of any human form to God. All of these are considered blasphemous. God is the Exalted. He is far removed from every imperfection. He never becomes weary. He does not become drowsy nor does he sleep. The Arabic word Allah means God (the one and only true God who created the whole universe). This word Allah is a name for God, which is used by Arabic speakers, both Arab Muslims and Arab Christians. This word cannot be used to designate anything other than the one true God. Join the Tafseer of Surah Maryam Course for FREE! If you would like to give yourself an opportunity to allow the Quran to enter your life like never before by learning Tafsir and memorizing in an easy way, read below! I know, I know. You’ve tired to memorize the Qur’an before. You had such determination. No one was going to stop you this time. At last! The verses that eluded you for so long were now yours for the taking. Day 4 was a weekend day so you gave yourself the day off. Day 5 was another weekend day (day off). Sound familiar? I know all too well! Being a native English speaker, the Qur’an was always difficult for me to memorize because I didn’t adequately understand what was being said. We at E-jaazah.com are endeavoring to make the studying of this glorious book easy for the non-Arabs. We are offering Tafsir, implementation advice, and a user-friendly way to memorize the ayats as effortlessly as possible insha Allaah. Step 2: After watching the class listen to the “Memorization Helper”. The Shaykh recites the verses and you recite with him. Only focus on the verses covered in class so as to not overburden yourself and be discouraged. The recitation is in an mp3 format so you can listen and recite along while you are in your car, on the train, on a horse (if you have one!) or anywhere else. Listen to a sample here. Step 3: If available, spend a few minutes explaining to your wife and or children what these verses mean after dinner. Don’t spend too much time as they may not be accustomed to the change in you and you may want to introduce them slowly to keep them fully interested. Question: What am I going to get out of this class, when I’m so busy???? Answer: Insha Allaah you will have a grasp on the ayats that you never had before as you will not only learn the meanings of the ayats from the scholars of Tafsir (Ibn Kathir, Qurtobee, and others) but you’ll also be in a position to implement them into your life. Question: How long is it going to take? I’ve started and stopped so many times! Answer: The classes are about 45 minutes each. The special memorization helper mp3 is around 20 minutes (depending on the ayats covered). However, there is no real need to be sitting and listening for twenty minutes. You can be driving in the car, cooking dinner, or doing both (if you have a grill in the back seat). Classes are once a week, so it will not be a big burden to you insha Allaah. Question: Where can I find these classes? Answer: E-jaazah.com Click here to start! Question: How much does it cost? Answer: You must agree to make dua for all of the staff and teachers at E-jaazah.com if you benefit from it. Question: What Surah will we be studying? Answer: Most of the brothers and sisters at E-jaazah are ex-Christians and seem to have a love for the story of ‘Eisa (Jesus). Knowing Surah Maryam is also a great opportunity to help others learn the true nature of ‘Eisa and his Mother (peace and blessings upon the both). Question: How many classes will there be? Answer: There will be 9 classes to cover the entire Surah insha Allaah. Question: How often are the classes? Question: I’m really busy these days? How do I know I can make the classes? Answer: The classes are pre-recorded so that you can cover the material at your leisure. The program is designed for the busy person to learn on a high level. Wow.. do you think I would wait anymore?! I signed up and got my first lesson immediately. I like the teacher really..smiling face..mashaa allaah. If Allah gives us an oppurtunity to learn His Deen, never ever miss it. What is more important than learning the Qur’aan in our life? A flash was sent to me through email and I really really wanna share it!! I usually ignore this kind of people. but this one attracted my attention for a few reasons. so I decided to reply. I could be wrong, but I think if I were to reply him in his page trying to explain things to him (and based on my experience with many people who attack Islam) the obvious reaction from him would be blocking me and hiding my comment. and since he expressed his opinion using his Artskills, I express my reply using my Artskills. so here I reply to him in a place where even others may benefit from what I have to say. I didn’t post a link to his page. but one thing I’d like to remind you people: if you happen to go to visit his page and talk to him. be respectful. hateful comments will not convince him that he is wrong. wise conversations and civilized manners are what makes people understand each other. it took me 3 days in order to finish this one. it’s a little long but I hope you like it and benefit from it. if you find this useful, please share it with your friends and the people you know. let knowledge be shared with everyone. if you find any mistakes, please let me know. I tested it several times, but since it’s long, I might have missed some mistakes. I would love to add the flash here, but wordpress says ‘no no’ to it so i shall give you the link. The islamophobist take Quranic verses out of context painfully. Oh! They don’t even quote the full verse because it will let people know the truth and the logic behind it. I truly say these people know what they are doing but they are afraid of Islaam’s guidance, may be u can say they have an ill feeling, “Why God didn’t create me in His guidance from my birth?”. Its like they don’t want to agree, “Yes I was doing something wrong..” so they trap others to fall into their pit. “Look don’t spit on the sky, you know what happens! Don’t worry about the past too much, it may be right or wrong. We all have our ignorance period. Let’s make our future better in a more correct way and a Guided way, if God so wills it!! Is english difficult? Translate it to your language! Short purpose of this blog! Who are WE? Where do we COME from? Why do we LIVE? Why do we DO what we do? Is there any PURPOSE behind it? Why do we DIE? Where will we go after our DEATH? Answers to these questions and many more in an INTERESTING and HUMOROUS way. A blog to understand the 'MYSTERIES'. I am NOT INTERESTED in the mysteries of FAIRY TALES. Why should I? when we have 'REAL' 'TRUE' mysteries RIGHT HERE, RIGHT NOW in our life?! I UPDATE this blog on a 'DAILY BASIS' so do STAY in touch. 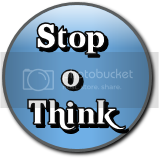 ITS TIME TO STOP AND THINK! To know more, click 'ABOUT'. O children of Adam! You are nothing but A NUMBER OF DAYS! I see a ‘noor’ in the speaker’s face, do you? Every second moves, you are near to DEATH! I am in much need of your feedback! The most freaking day of 2011! You will say the ‘shahada’.. but now or when you die? U don wanna miss it! Don't forget to click here! I don't think you will forget to enter your email here and SUBSCRIBE, when you dont want to miss a SECRET! I'M READY TO STOP AND THINK!